Girlz Gone Riding event. See story. Sometimes I get so caught up in things that I forget just how important some dates are. 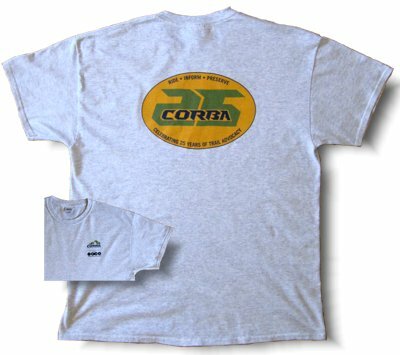 CORBA officially turned 25 in August, and even though we’ve been talking about our 25th Anniversary Party for months, I just now realized the amazing milestone CORBA has surpassed. I was at the very first meeting that spawned CORBA, and the subsequent formative meetings that would create what is perhaps the most influential mountain biking advocacy organization in the country. But we weren’t doing it for fame (and certainly not fortune). We were just an ordinary group of men and women who felt that someone should speak up on behalf of this new and exciting way to explore our great public open space. That, and the fact that a lot of these people knew how to party! So in that spirit, we are hoping to have a great party on September 29 at Founder’s Hall in Calabasas. It’ll be a chance for old CORBA members to reminisce, and for newer members to find out about all the things CORBA has done over the last 25 years. I sure hope you can make it! 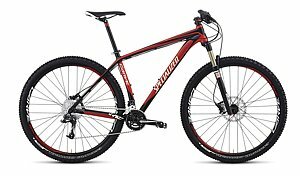 You could win this Specialized Carve Comp 29 (photo at left) or other fantastic door prizes!! Come celebrate CORBA’s 25th anniversary on Saturday, September 29th at Calabasas Civic Center – Founders Hall from 6pm. Enjoy an evening of dinner, celebration, meet and mingle with land managers, fellow mountain bicyclists, CORBA supporters, Mountain Bike Hall of Fame members and more. We will have a special 25th anniversary video presentation, lifetime achievement awards, Door Prizes and more. A lot has happened since 1987. Join us in honoring those who started the modern mountain bike advocacy movement and those who continue to carry the torch for mountain bike trail access. CORBA and the Parklands need your involvement now more than ever… please come show your support. All this for only $25, gets you in the door and includes dinner and beverages. Seating is limited so reserve your seat by registering online today! This FREE event is open to ALL LEVELS of riders. The day includes a mini clinic for beginner riders, 3 levels of cross country rides, goodie bags, tech support by Cycle World, raffles, a CORBA/IMBA membership drive, swap meet and more! Read our blog entry for full details including Schedule of Events! For those who have linked your Ralphs Club Card to support CORBA, Ralphs requires that we reregister on an annual basis, on or after September 1st each year, so that they continue to contribute to CORBA. Please register or reregister your Ralphs card now! To learn more about this program, see these details. The next Beginners ride will be from the beach side of Sycamore Canyon in Pt Mugu State Park on Saturday September 29. See our Rides Calendar for details. 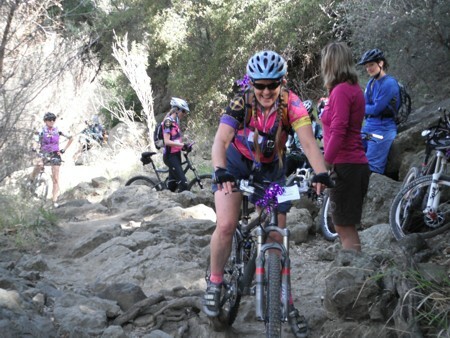 Many thanks to North Ranch Mountain Biker Michelle for leading these rides! 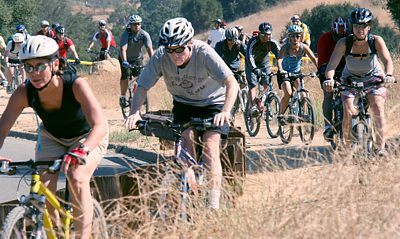 The County of Los Angeles intends to develop a plan to guide future trail development to meet needs in the Northwest San Fernando Valley Area. The area consists broadly of the unincorporated territory of the County bounded by the Ventura County line on the west, the Santa Susana Mountains (Johnson Motorway Trail, Rim of the Valley Trail, Oat Mountain Motorway Trail, and Weldon Canyon Trail) to the north, Interstate 5 to the east, and Roscoe Boulevard to the south, with provisions for connections to other nearby existing and planned recreational resources. The County is currently in the early development stages of the proposed project. Please refer to our blog article for further information. Donation boxes and info kiosks have been installed at the PCH entrances to Sycamore and and La Jolla Canyons, and at Chumash trail head. We have been informed that any and all donations collected at these stations will go directly to trail maintenance and resource projects in the state park where the money was collected. The kiosks will allow volunteer partners (such as CORBA) to post information about upcoming events and other general information. 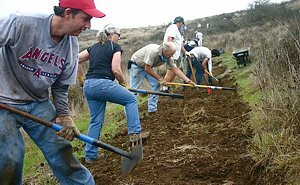 As reported in the Topanga Messenger and several other news sources, work has been progressing along the Rogers Road section of the Backbone Trail. 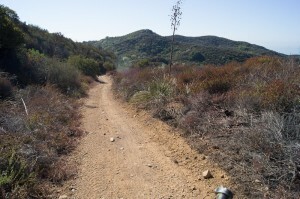 The trail had become severely eroded, narrow and overgrown, to where concerns for safety and sustainability of the trail had been raised by State Parks. Saturday September 1 is the next skills clinic.